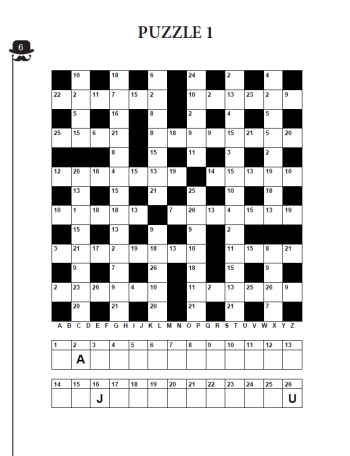 Welcome to this unique and special book of 100 codeword puzzles, personalised for your loved one! Does your Grandad love word puzzles? Nana mad about solving them all? Look no further than our brilliant collection of wordsearch, which makes the perfect gift! The pages also feature a quirky little page number element.. click the below interior link to see! 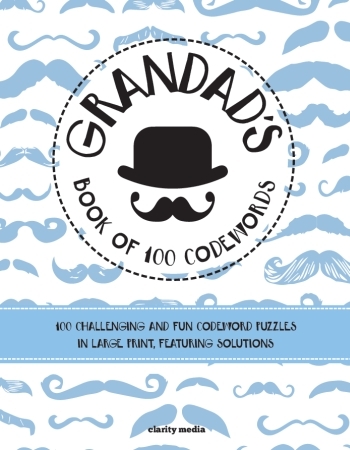 Packed with a great collection of challenging coded puzzles, this book is sure to keep the solver entertained for hours. Printed on a large page size (8.5 x 11 inches) with clear and easy to read words, these puzzles are great for those looking for something a little easier on the eye. Whether you're looking for a less challenging puzzle to wind down with, or you are wanting to really work your brain and tackle the more difficult grids, there's definitely something to keep you busy here. If you get stuck along the way or need a little inspiration, turn towards the back of the book where you will find full solutions. All books are printed on very high quality paper, making the puzzle experience all the more enjoyable!